Who’s going to paradise? Today, ABC revealed the contestants for season four of Bachelor in Paradise. The reality dating show brings previous contestants of The Bachelor and The Bachelorette together under one roof as they try to win a big cash prize — and maybe even finally find true love on television. Season four’s cast includes Raven Gates and Corinne Olympios from season 21 of The Bachelor, Amanda Stanton from season three of Bachelor in Paradise, DeMario Jackson from season 13 of The Bachelorette, and more. 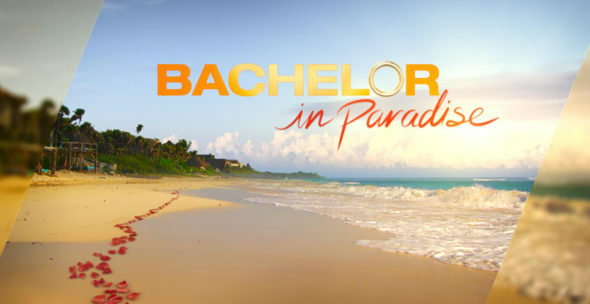 The new season of Bachelor in Paradise premieres on ABC on August 8th at 8 p.m. ET/PT. The long-awaited fourth season of summer’s genre-defying breakout hit series “Bachelor in Paradise” returns on TUESDAY, AUGUST 8 (8:00-10:00 p.m. EDT), on The ABC Television Network. Starting the following week, the show will air on Mondays. The cast comprised of former fan favorites and controversial characters from “The Bachelor” franchise are back looking for a second chance at love. They all left “The Bachelor” or “The Bachelorette” with broken hearts, but now they’ll travel to a romantic paradise, hoping to turn a potential summer fling into the real thing. Over the course of six weeks, we’ll follow these former bachelors and bachelorettes as they explore new relationships while living together in Mexico, in a secluded and dreamy paradise. America will watch as they fall in love or go through renewed heartbreak. “Bachelor in Paradise” will feature shocking twists, surprises, unexpected guests and some of the most unlikely relationships in “Bachelor” history. There’s no telling who will find love this season, just like Jade and Tanner with their engagement and subsequent wedding. What do you think? Do you watch Bachelor in Paradise? Are you excited for the new season this summer?